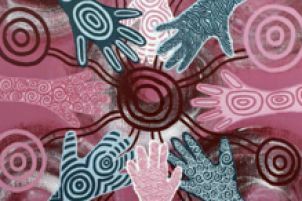 Reconciliation is an honest and critical understanding of Australia's shared history, and how it has informed the lives of Australian Aboriginal and Torres Strait Islander peoples and other Australians today. Reconciliation involves other Australians and Aboriginal and Torres Strait Islander peoples building and preserving mutual, positive, and respectful relationships. It involves optimising these relationships and working together on closing the gap; achieving a shared sense of fairness and justice as a foundation for success; and enhancing our national well being. Acknowledging the First Nation peoples of the world, their rich cultures and their knowledge of the natural environment, we pay particular respect to Australian Aboriginal and Torres Strait Islander peoples, the traditional custodians of the lands and waters of Australia. We are pledged to achieve genuine and sustainable reconciliation between the Aboriginal and Torres Strait Islander peoples and the wider community. JCU's Reconciliation Statement was released 21 May 2008. On the same day, the JCU Library was renamed after Eddie Koiki Mabo. The anniversary (27 May) of Australia’s most successful referendum, a defining event in our nation’s history. The 1967 referendum saw more than 90 per cent of Australians vote to give the Commonwealth the power to make laws for Australian Aboriginal and Torres Strait Islander peoples and recognise them in the national census. The landmark Mabo decision of the High Court of Australia (3 June 1992) to legally recognise that Australian Aboriginal and Torres Strait Islander peoples have a special relationship to the land that existed prior to colonisation and which still exists today. This recognition paved the way for Native Title land rights. The Reconciliation Action Plan (RAP) (PDF, 768 KB) was developed following a May 2013 commitment by the JCU Vice Chancellor to develop our first action plan to strengthen our commitment to enhance the lives of Australian Aboriginal and Torres Strait Islander peoples through education and research. Cultural protocols are the standards of behaviour that we use to show respect to each other. The JCU Cultural Protocols Guide supports our commitment to reconciliation by providing staff and students with informative and practical information to support your work and engagement with Australian Aboriginal and/or Torres Strait Islander peoples in a way that is culturally respectful.